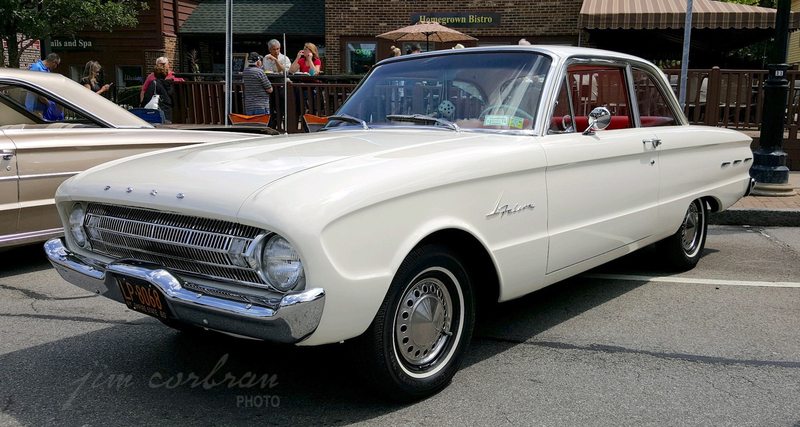 Orchard Park resident Dale Pyne owns what’s probably the cleanest-looking 1961 Ford Falcon Futura on the planet. 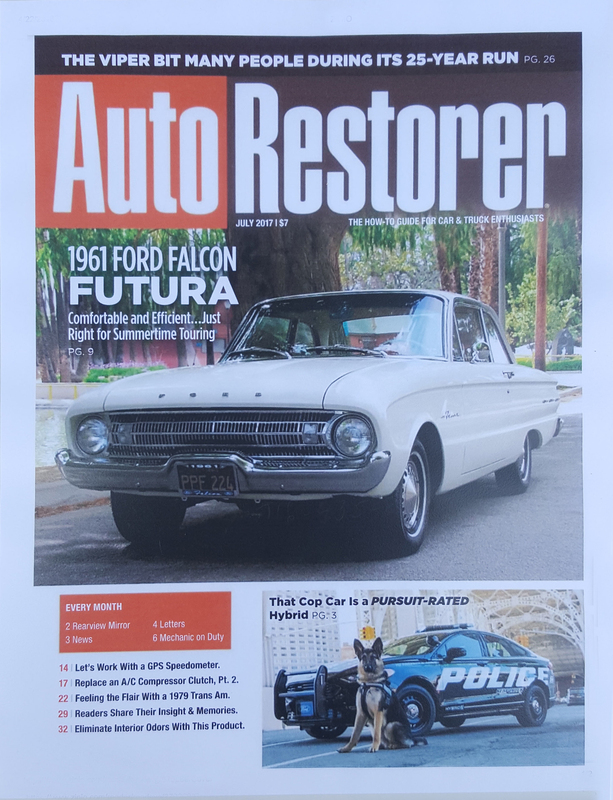 This Corinthian White beauty was featured on the cover of the July 2017 edition of Auto Restorer magazine not long before Pyne bought it from its Riverside, California owner, who had done a total restoration on the car. 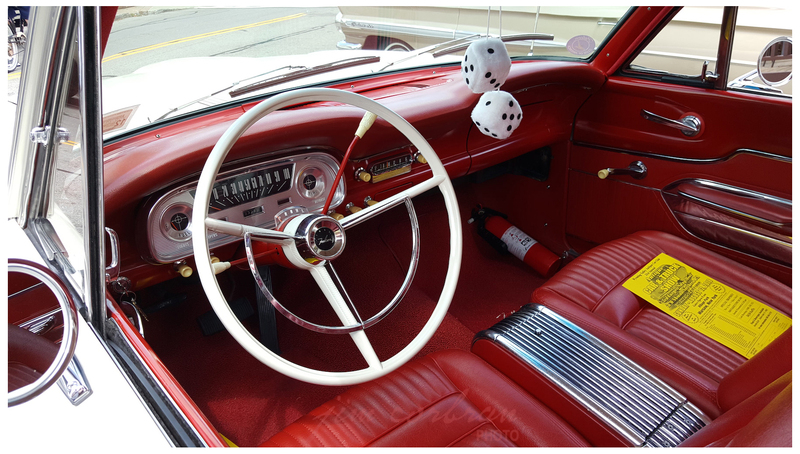 The Futura was introduced into the Falcon lineup halfway through the 1961 model year — Ford referred to it as the Compact Cousin of the Thunderbird. Bucket seats and a console, along with spiffier trim and an upgrade to the 170 cu. in. 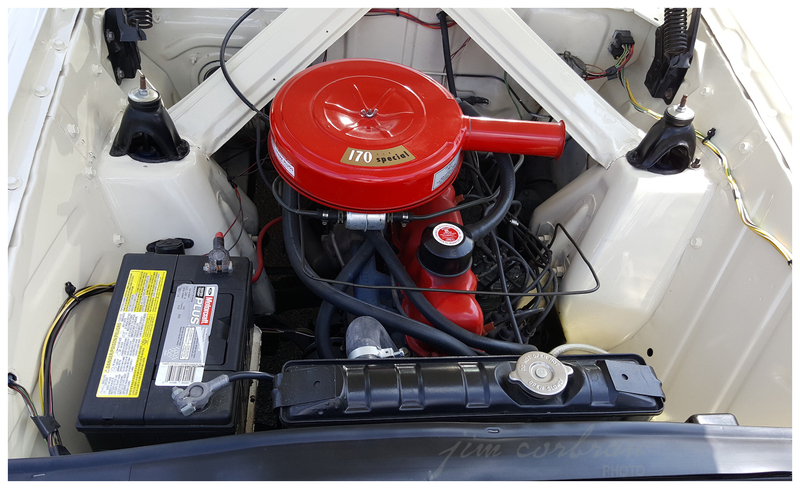 inline six (a $37.40 option on other Falcons) dressed up Ford’s best-selling small car as the compact wars heated up. This one also has the optional Fordomatic ($163.10) automatic transmission and an AM radio — with no push buttons ($54.05 — the pushbutton model was $58.45). 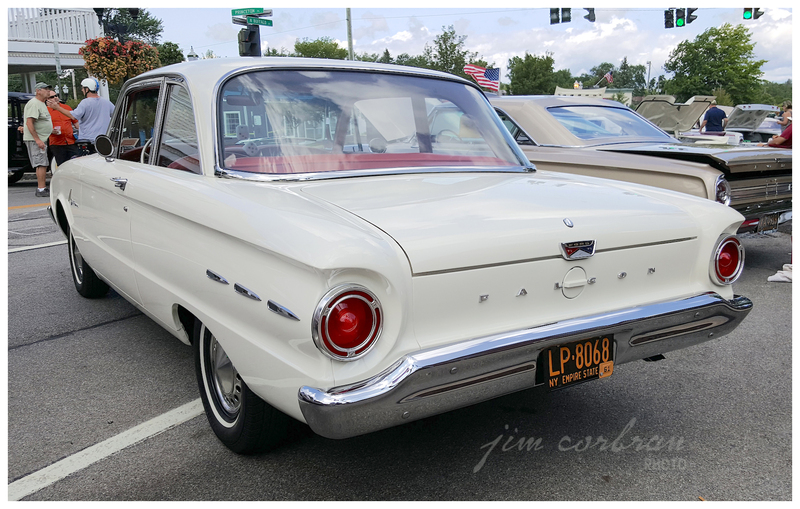 You’d be hard-pressed to find many flaws on this award-winning Futura, which we saw a couple of weeks back at the Orchard Park Lions Club 24th Annual Quaker Days Car/Motorcycle Show & Cruise on North Buffalo Street in the village.